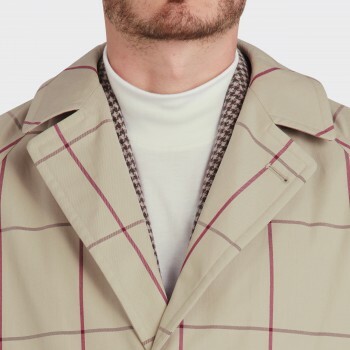 Cohérence outerwear is inspired by legendary artists and intellectuals who transcended boundaries by their talent, such as Albert Camus, Le Corbusier, Marcel Duchamp, Léonard Foujita, Tristan Tzara or Jean Cocteau. 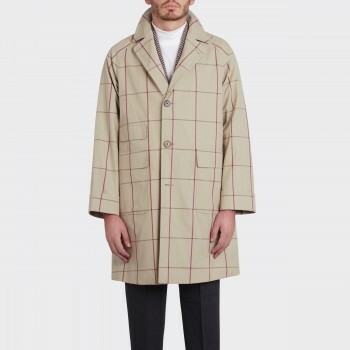 Kentaro Nakagomi, the designer, in love with Surrealism, Jazz music, and “Nouvelle Vague” cinema have created a collection of beautiful modern classics inspired by the best of the past and developed with the latest technology. 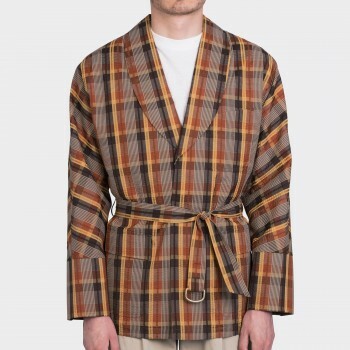 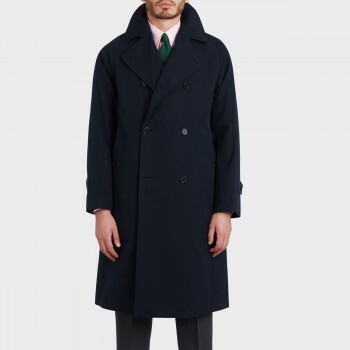 All the Cohérence overcoats are entirely made in Japan with a very high level of craftsmanship rarely seen on ready-to-wear garments. 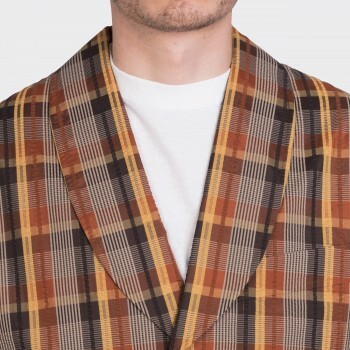 All the fabrics are developed by the company, such as the “Tweed Chevron Jersey” which reproduced the beauty of Tweed in good old days by rare knitting machine, with lightness and elasticity. 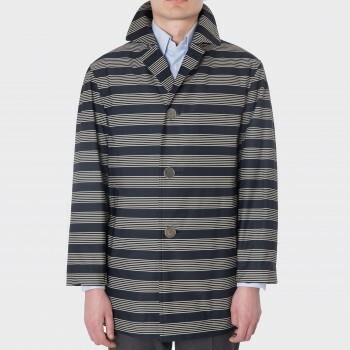 Its material is mixed with original recipe by four types of wool including Shetland wool with two different methods of spinning. 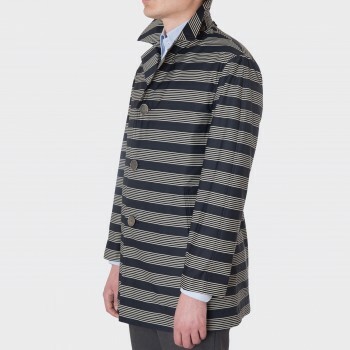 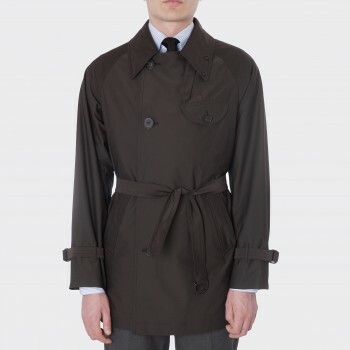 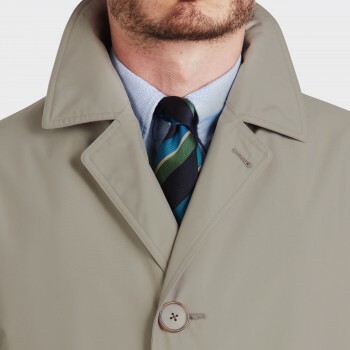 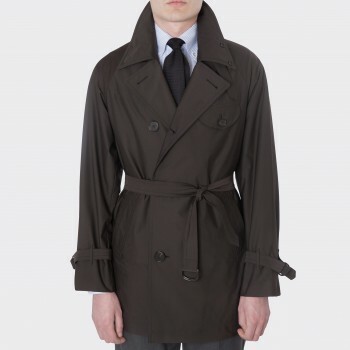 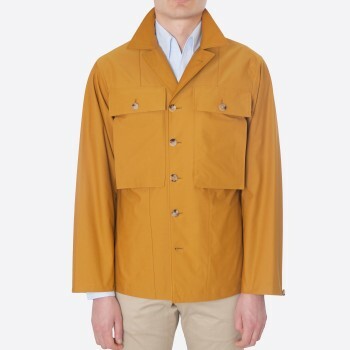 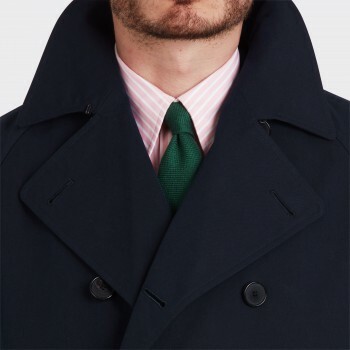 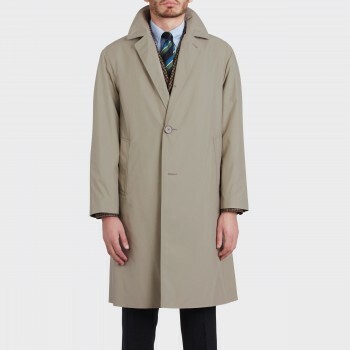 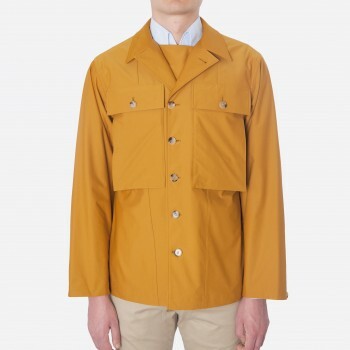 The collections are also driven by a very Japanese sense of details and you can find on these sumptuous overcoats: outstanding real horn buttons, a lining motif designed after a Jean Cocteau’s shirt, or a very practical side-entry storm pockets with inernal access.